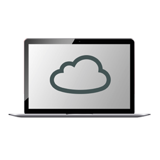 The FortiGate family of network appliances represents the industry’s broadest range of enterprise firewall platforms. FortiGate is based on FortiASIC, a purpose-built integrated architecture that provides extremely high throughput and exceptionally low latency, while delivering industry-leading security effectiveness and consolidation which is routinely validated by independent real-world tests. Targeted for distributed enterprises, the FortiGate 60E series contains consolidated security and networking functionality, various connectivity options along with Industry’s best performance in a compact form factor. 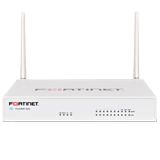 The FortiGate/FortiWiFi 60E Series includes a USB port that allows you to plug in a compatible third-party 3G/4G USB modem, providing additional WAN connectivity or a redundant link for maximum reliability.